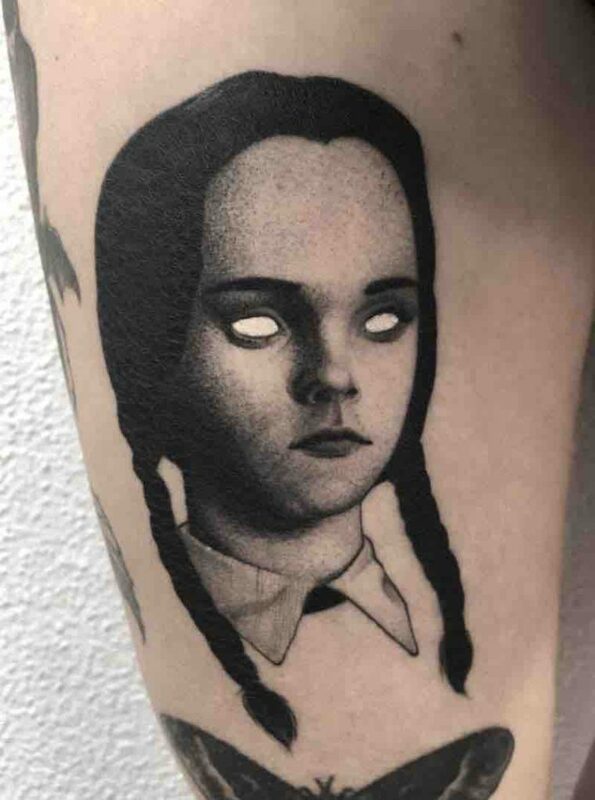 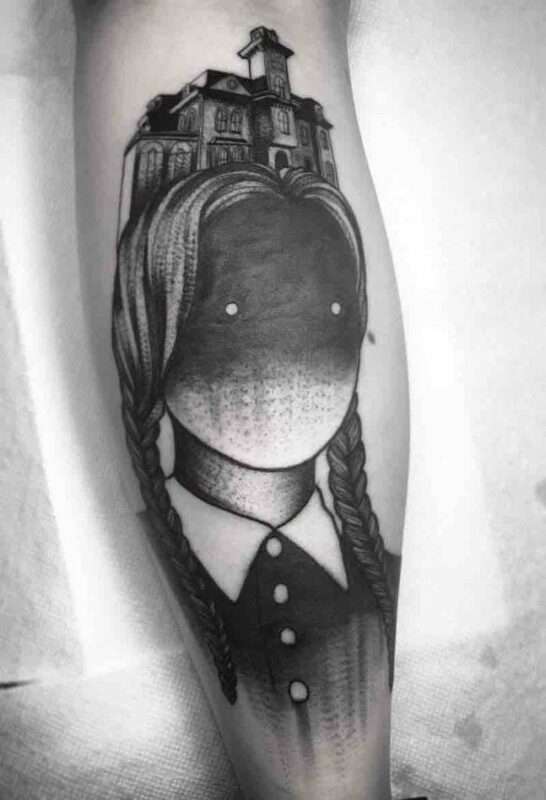 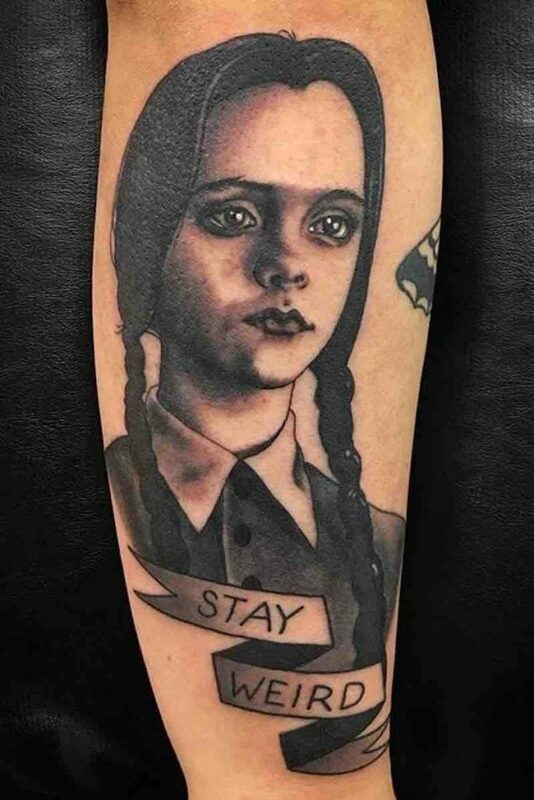 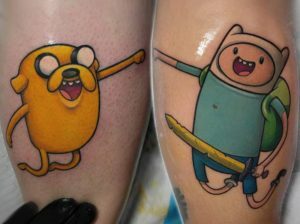 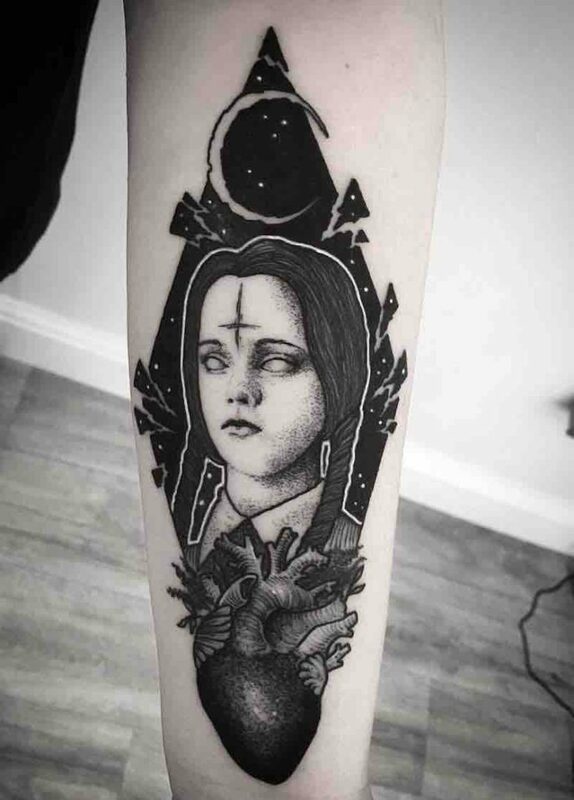 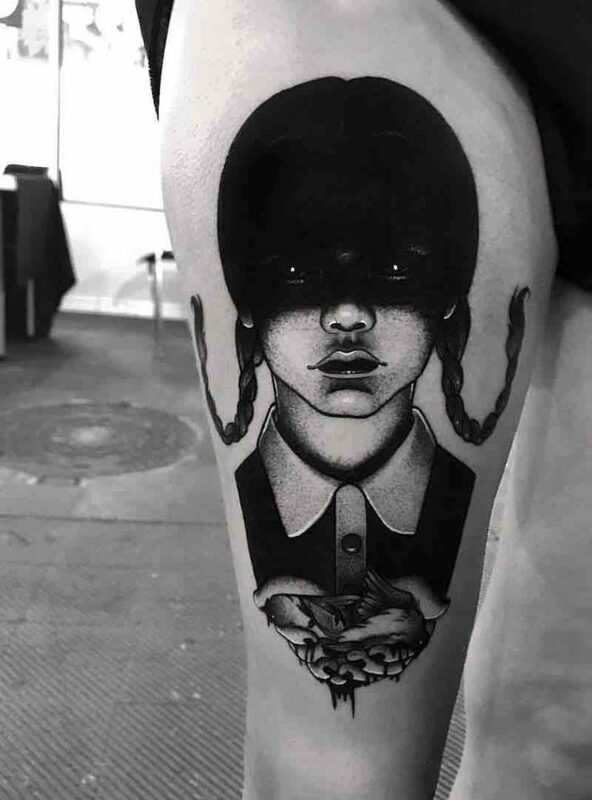 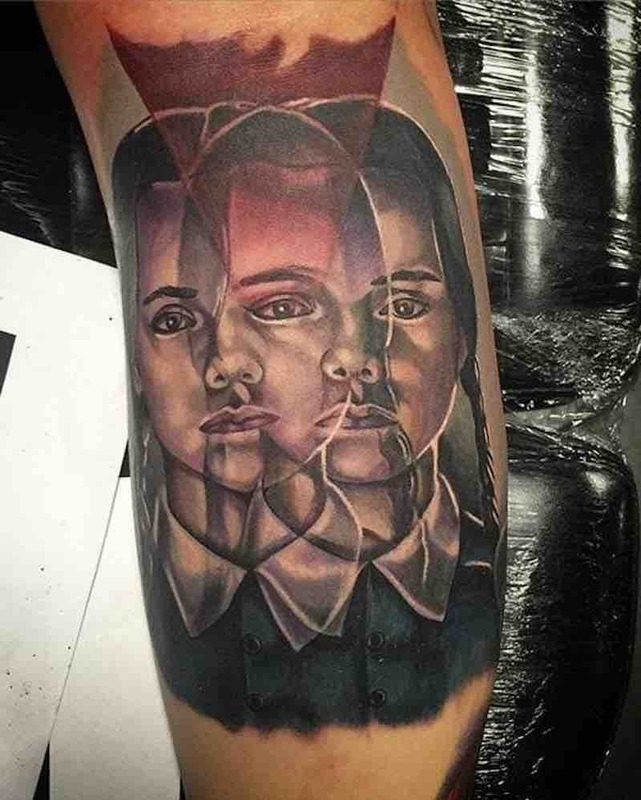 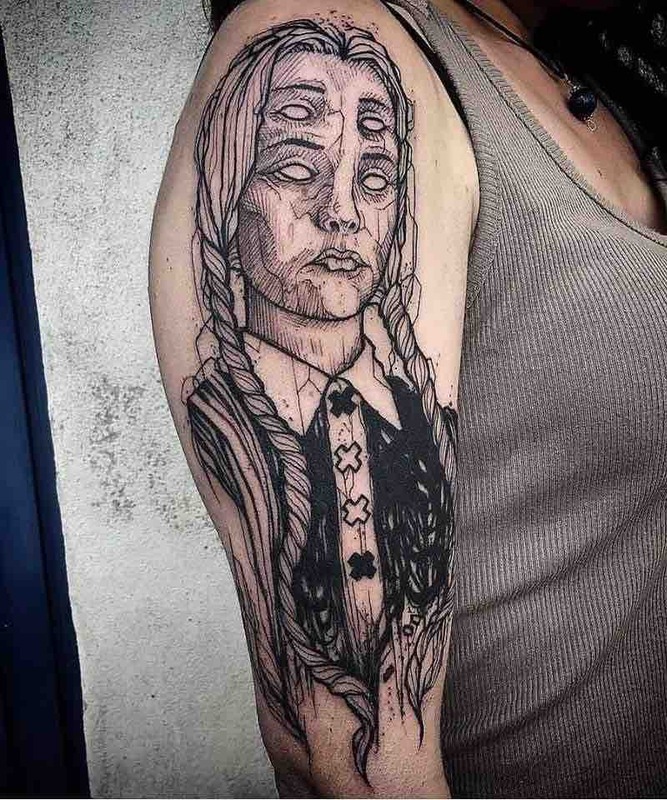 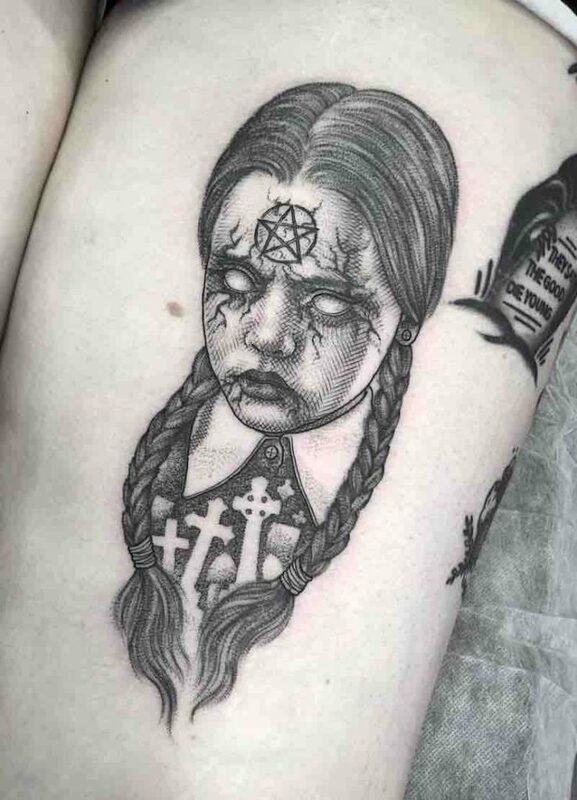 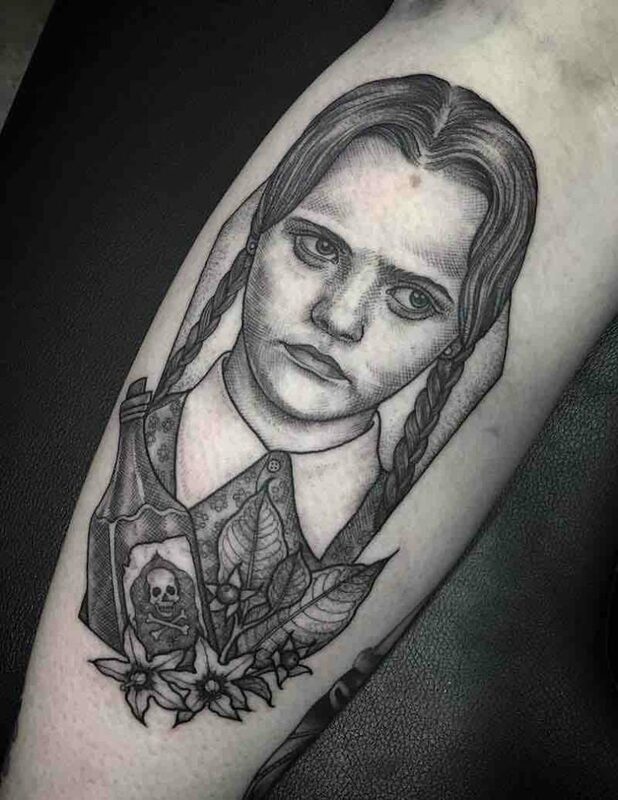 Wednesday Addams is by the far the most popular family member of the Addams family, this is obvious in the amount times the character is tattooed vs other members of the Addams family. 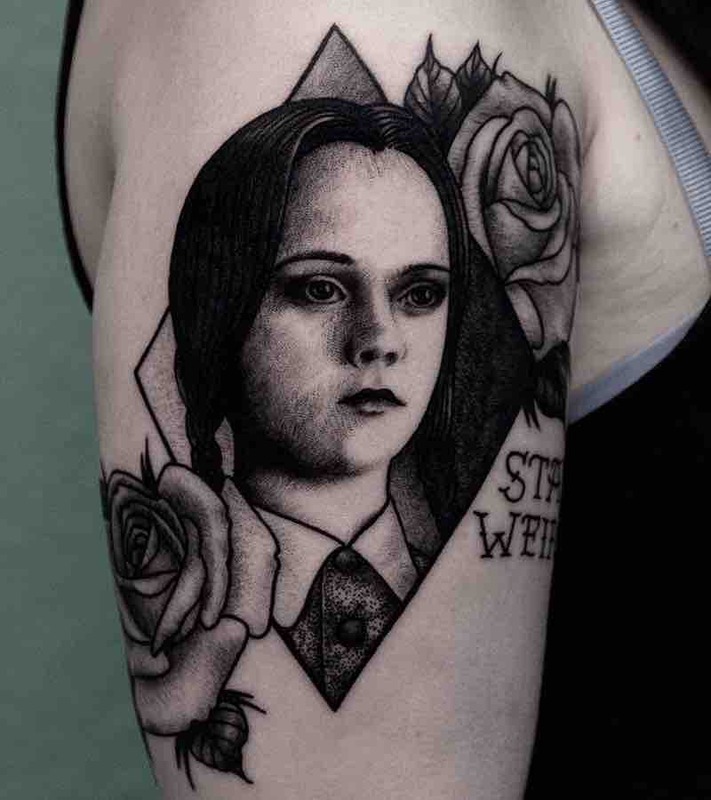 The Addams Family originated from a single panel comic in the New Yorker in 1938 created by Charles Addams, it has since gone to become a tv series, movie franchise, cartoon series, Broadway musical, tv series based around Wednesday Addams and is even the most sucsessful pinball machince ever. 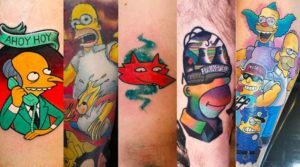 Theres no sign of the fanchise slowing down with ananimated movie set to be released this year. 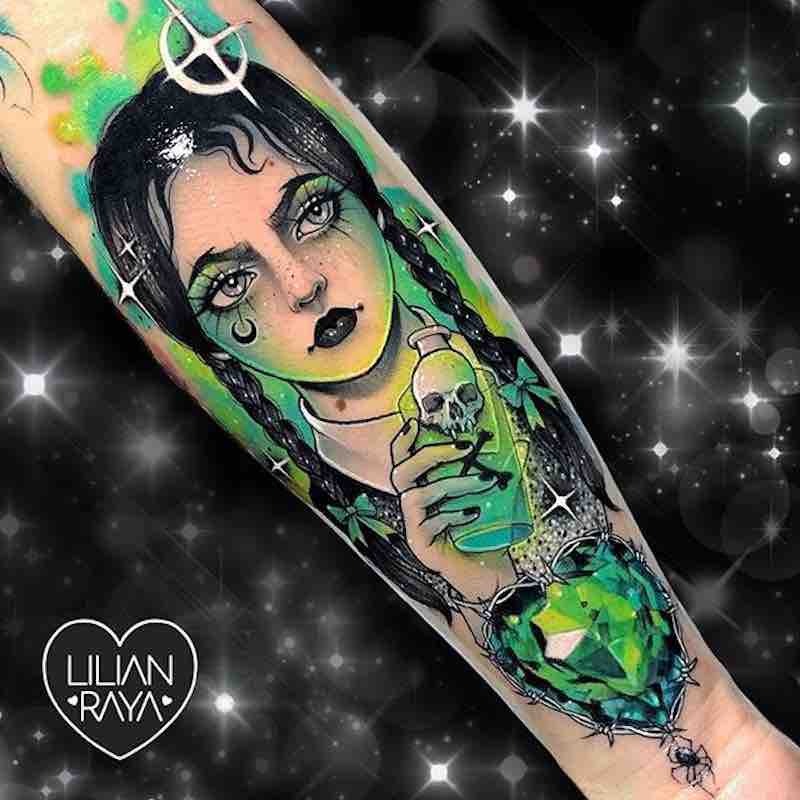 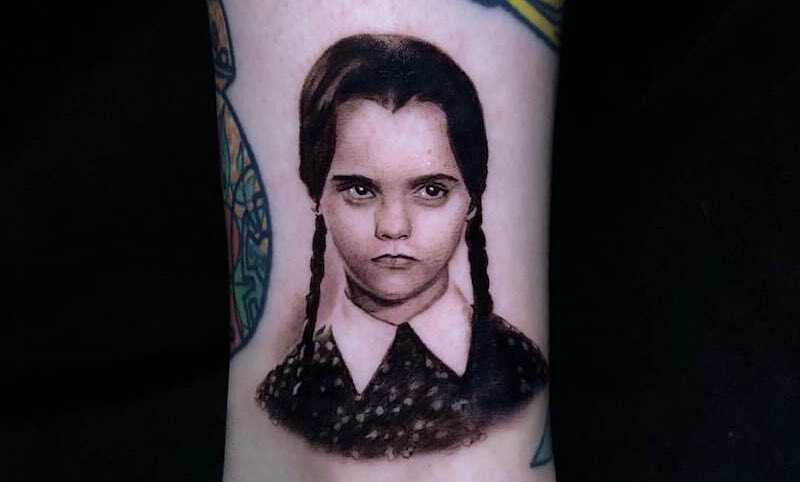 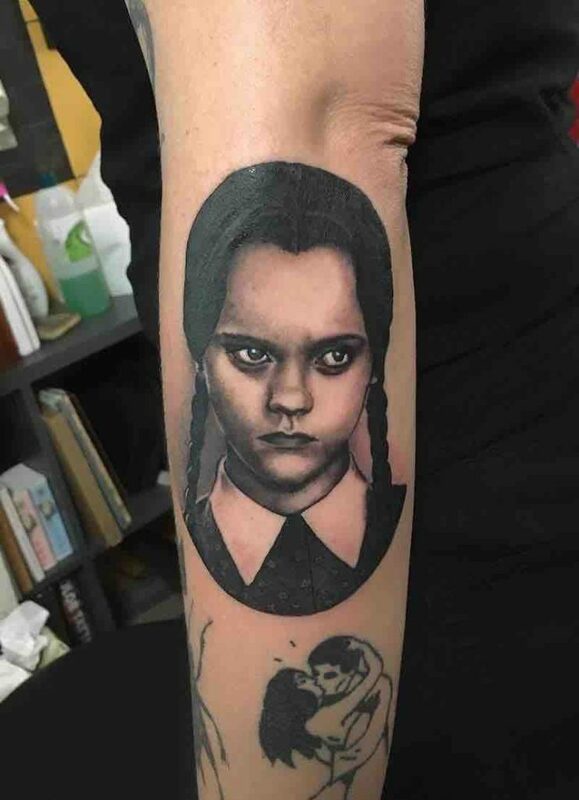 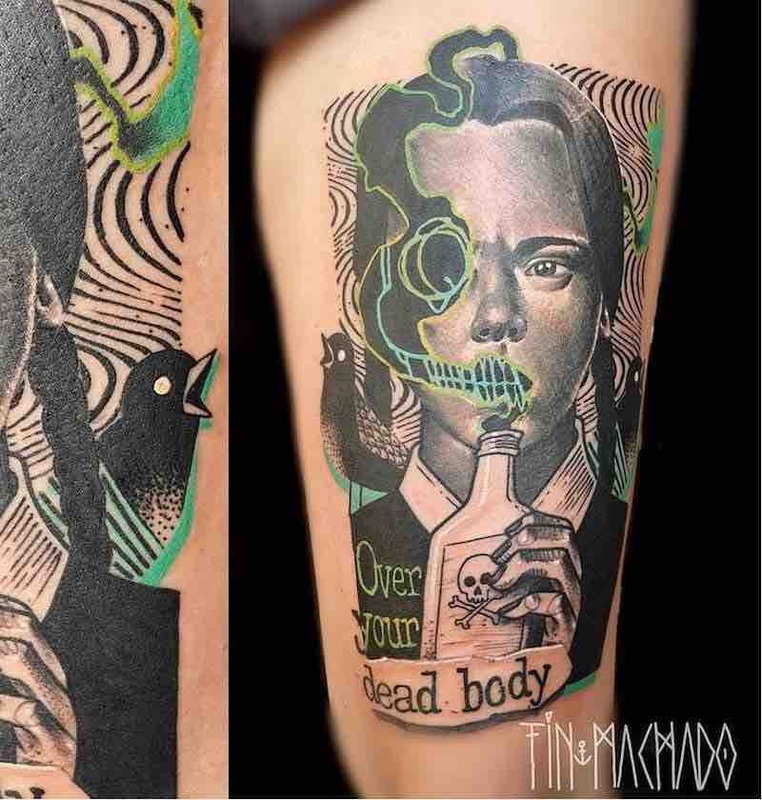 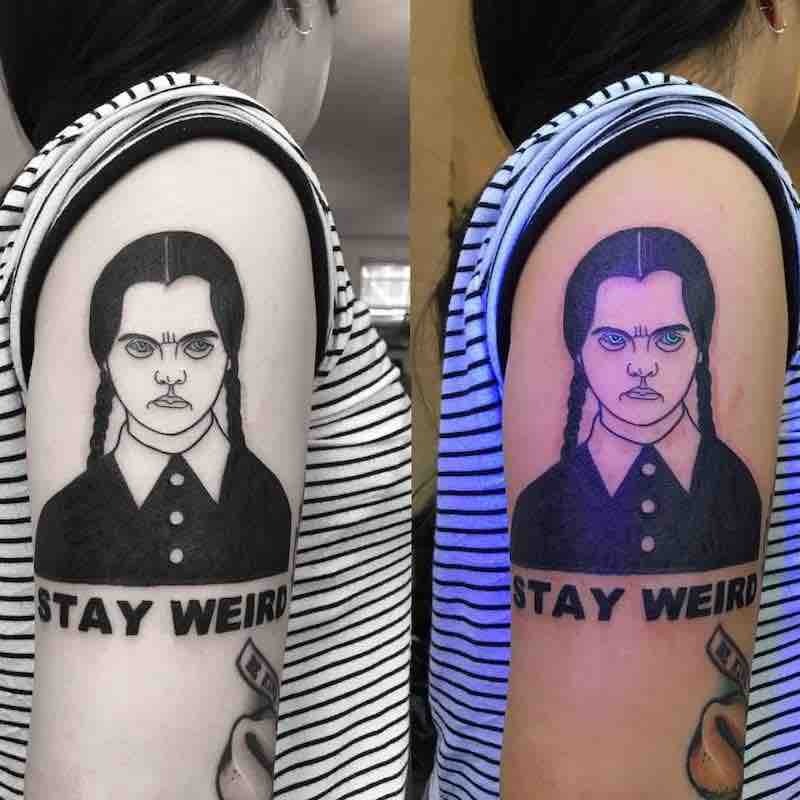 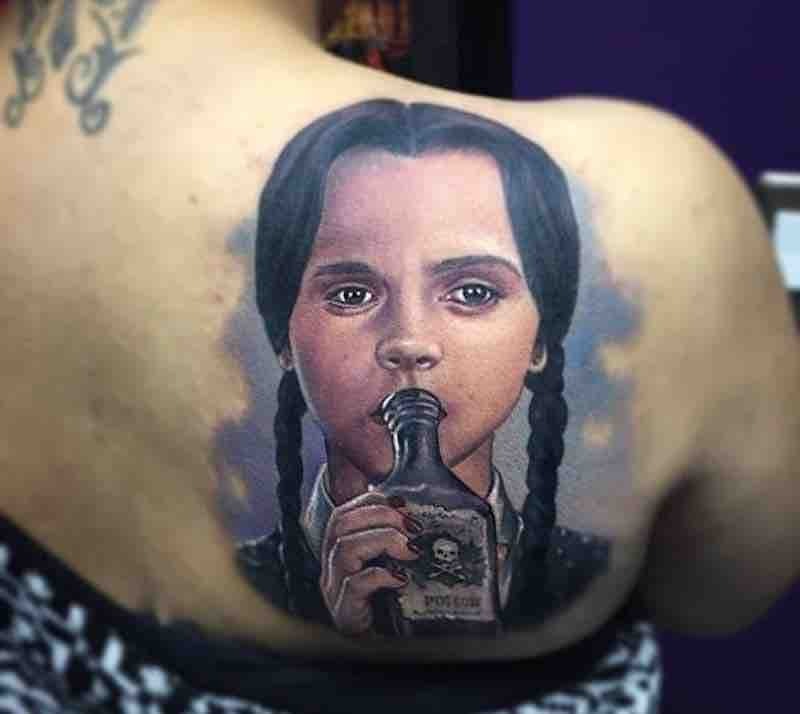 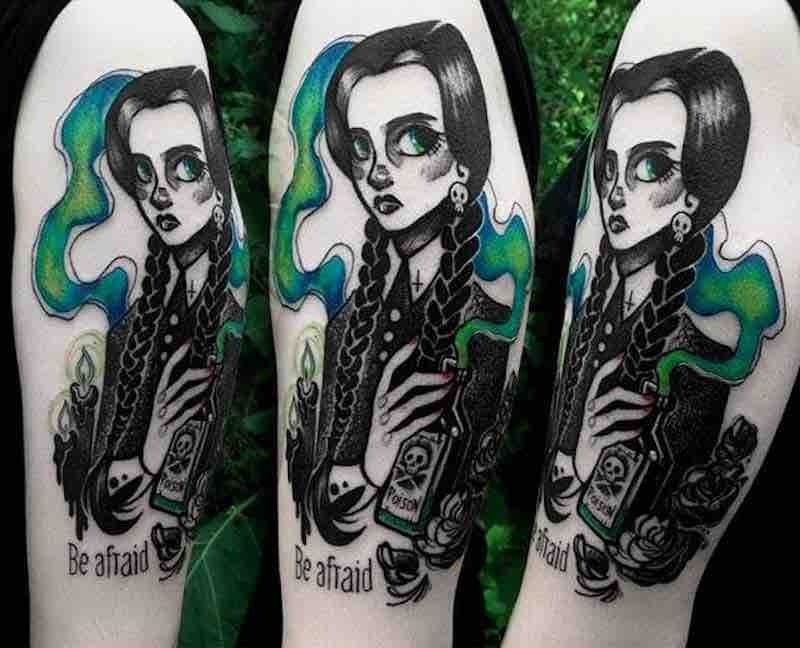 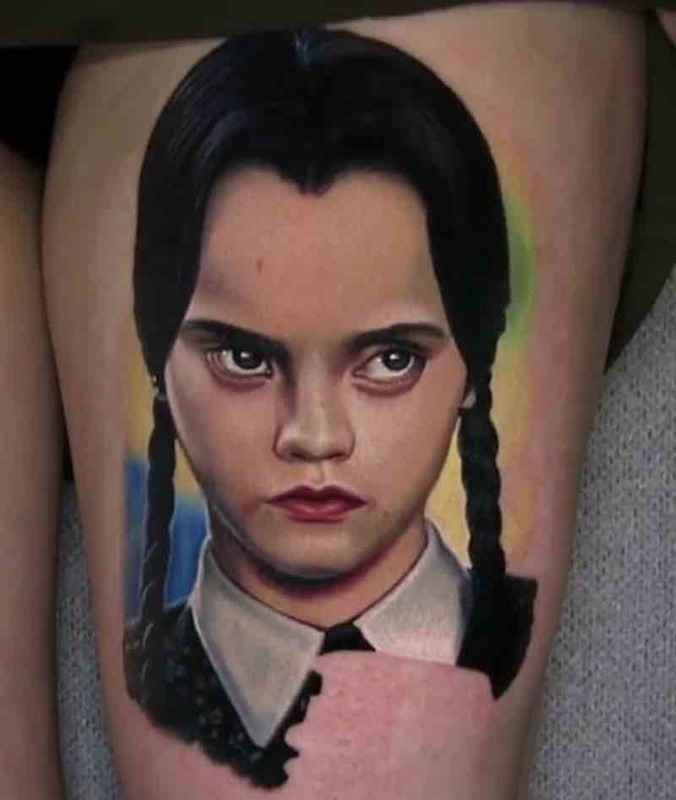 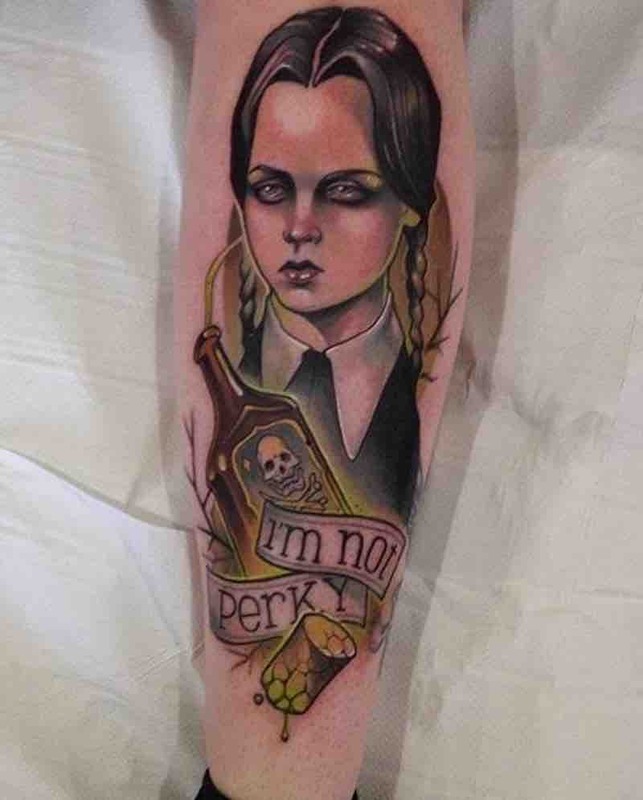 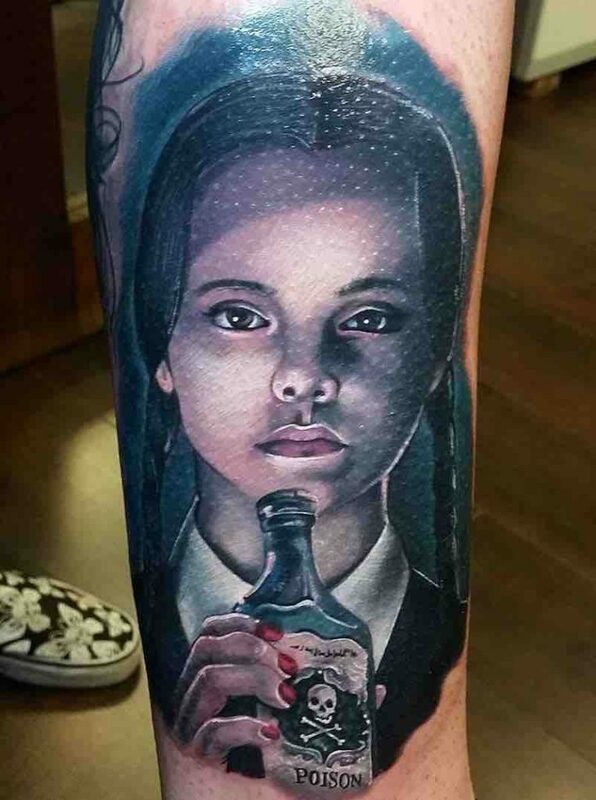 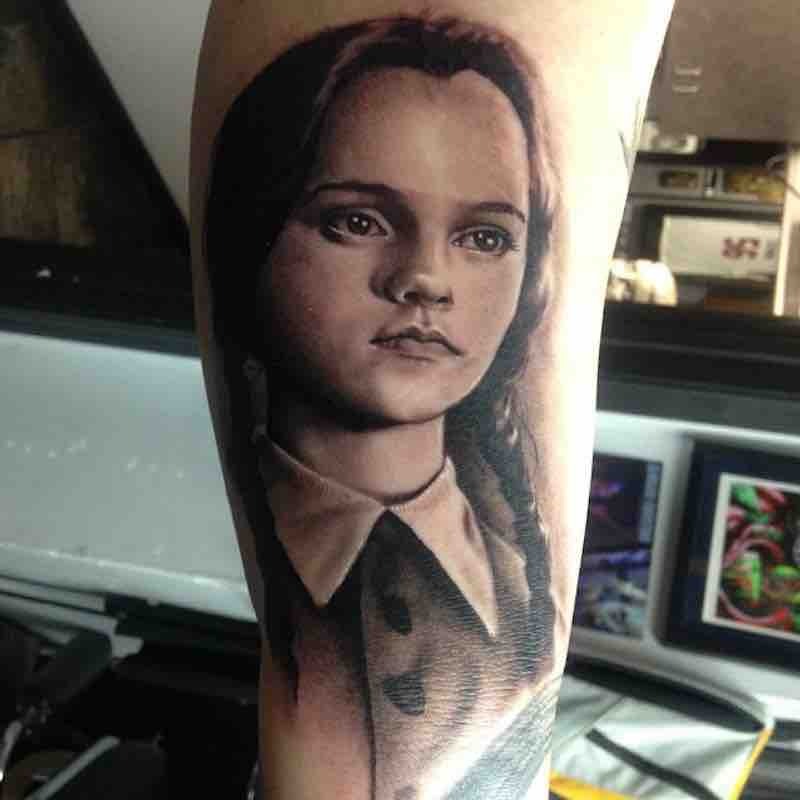 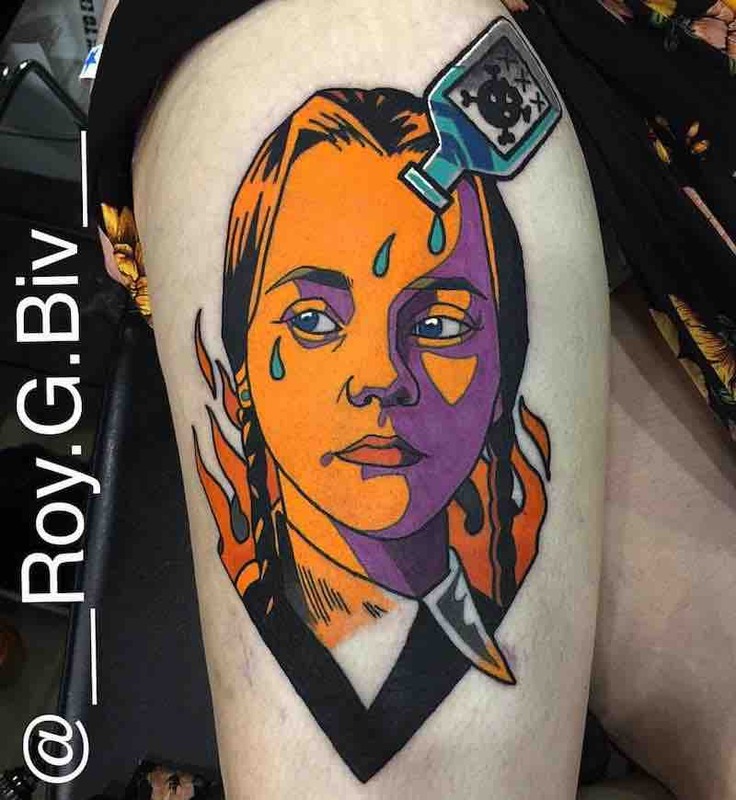 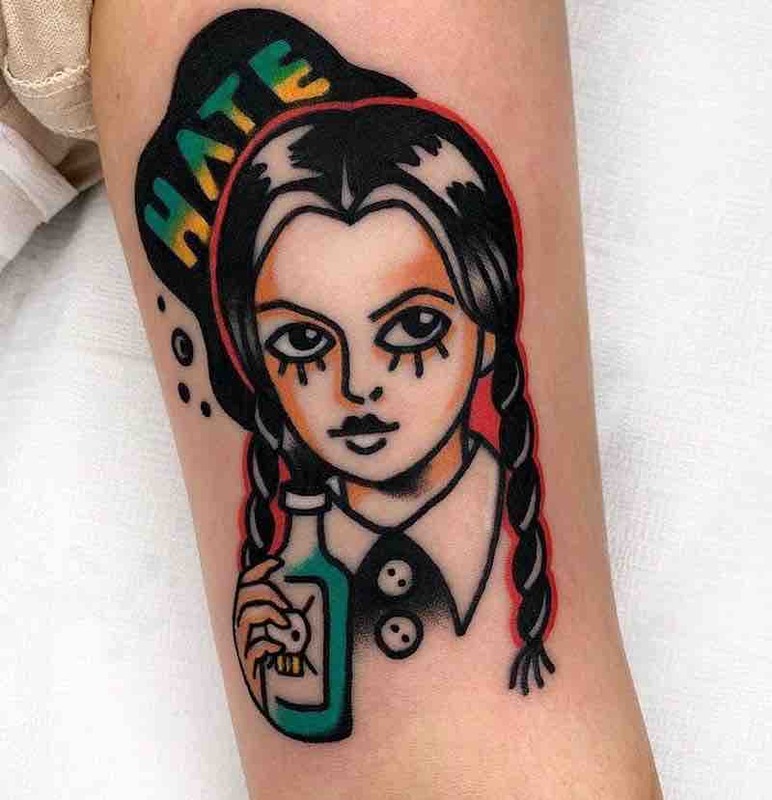 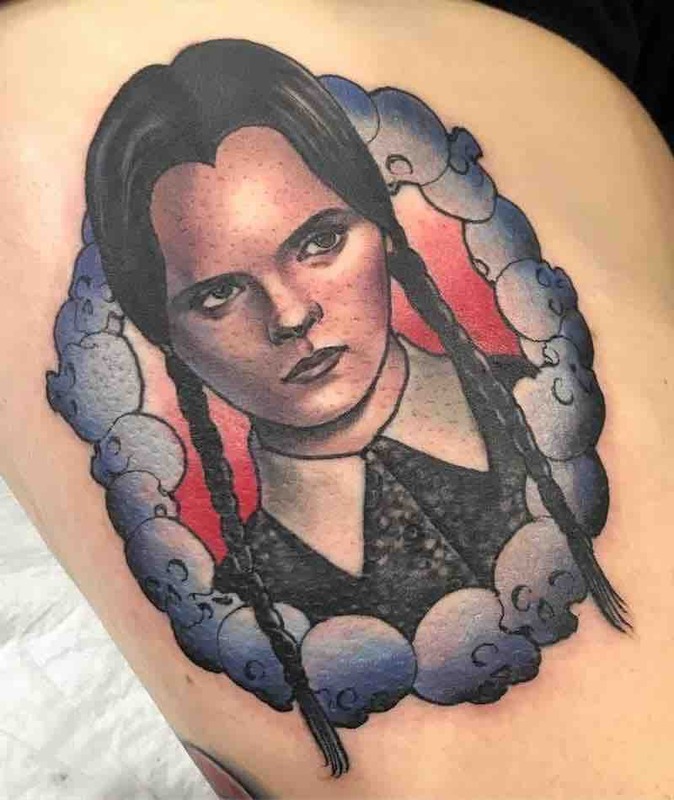 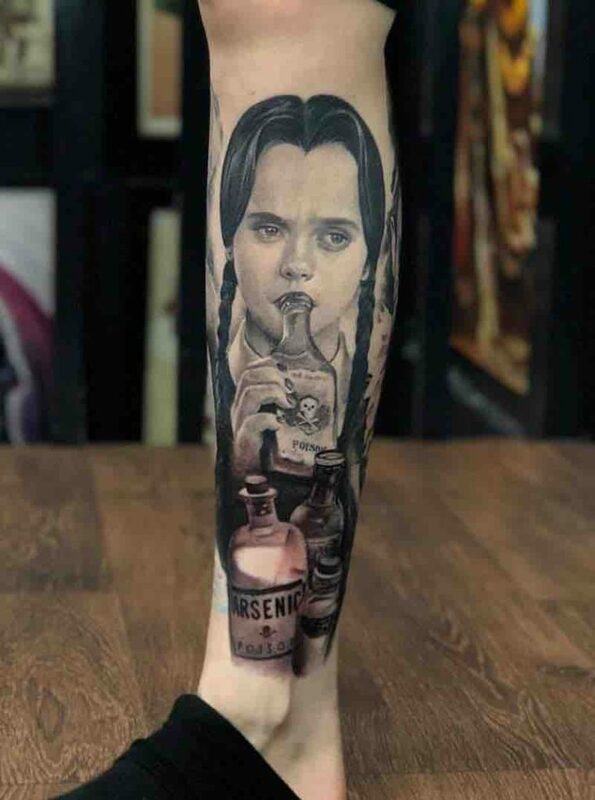 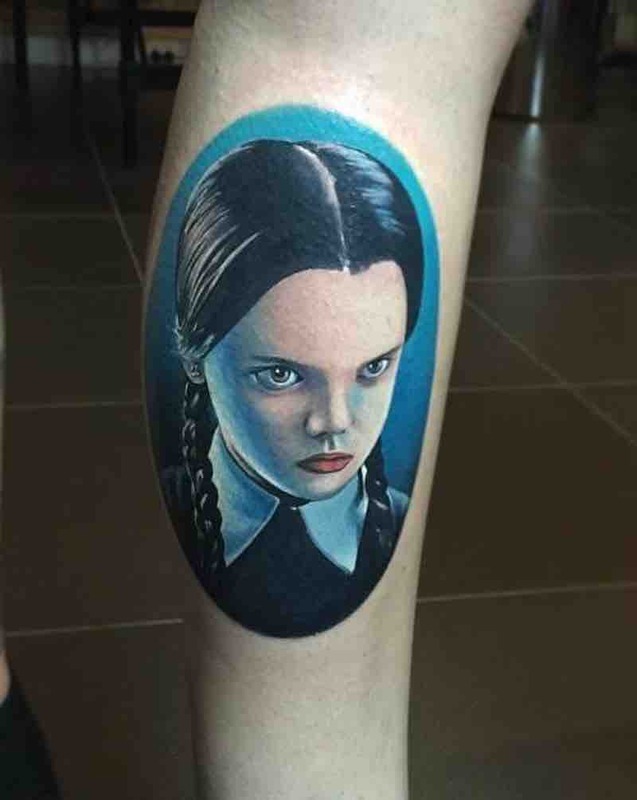 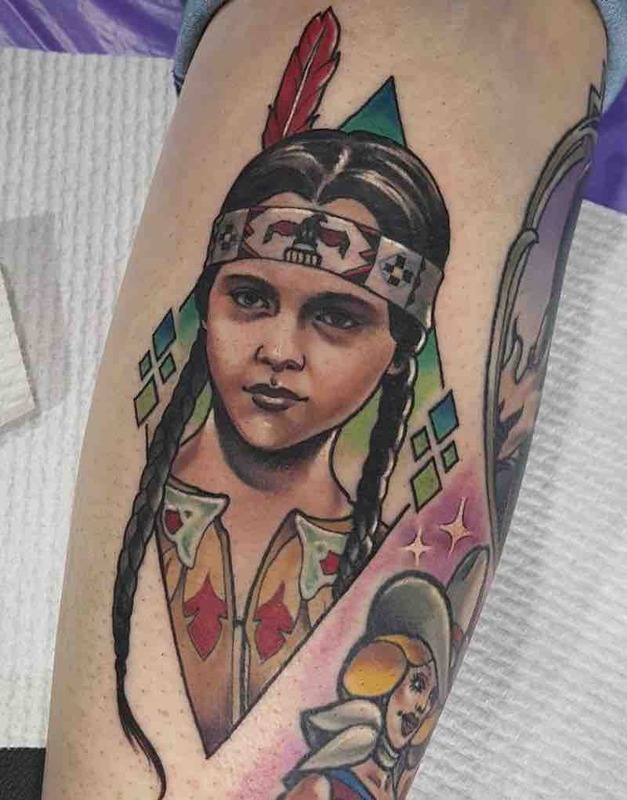 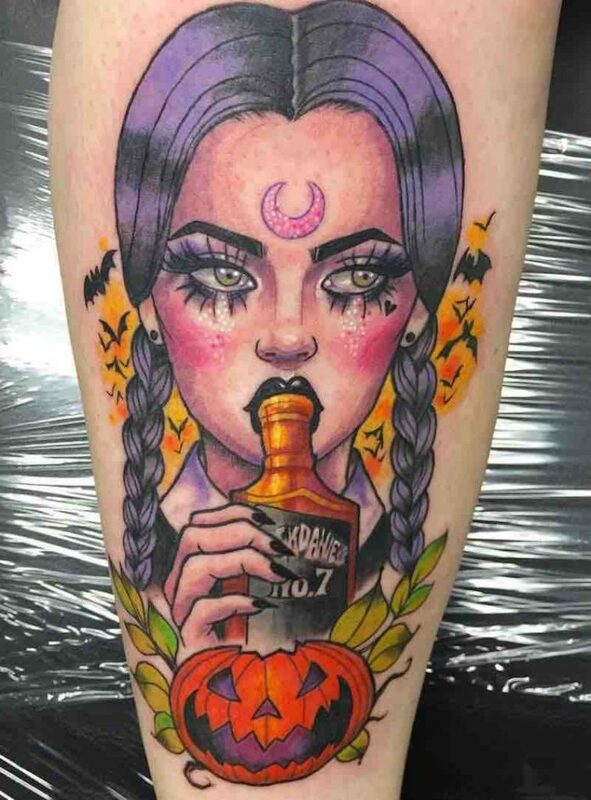 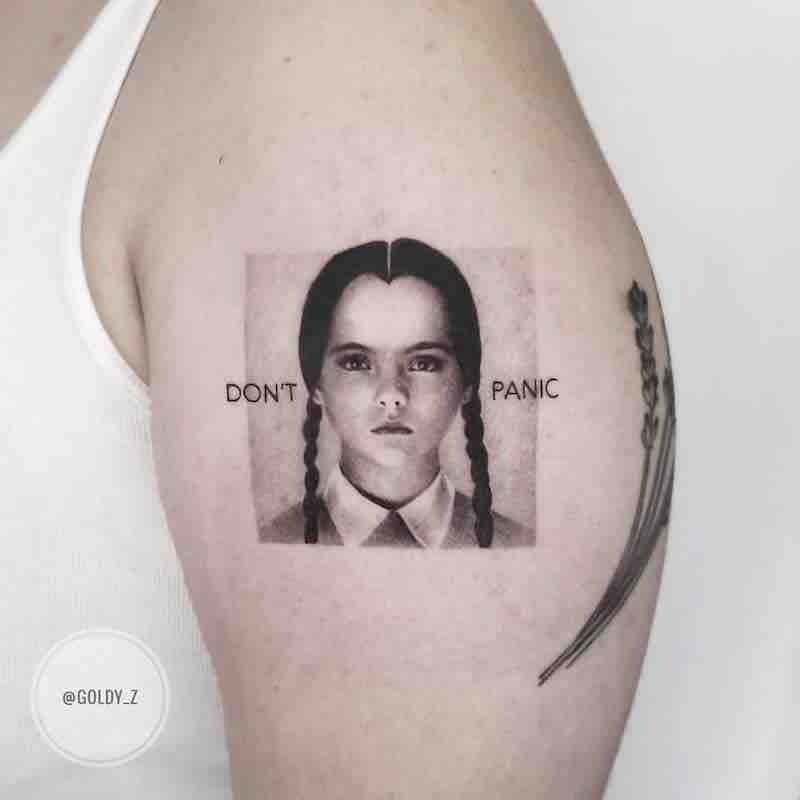 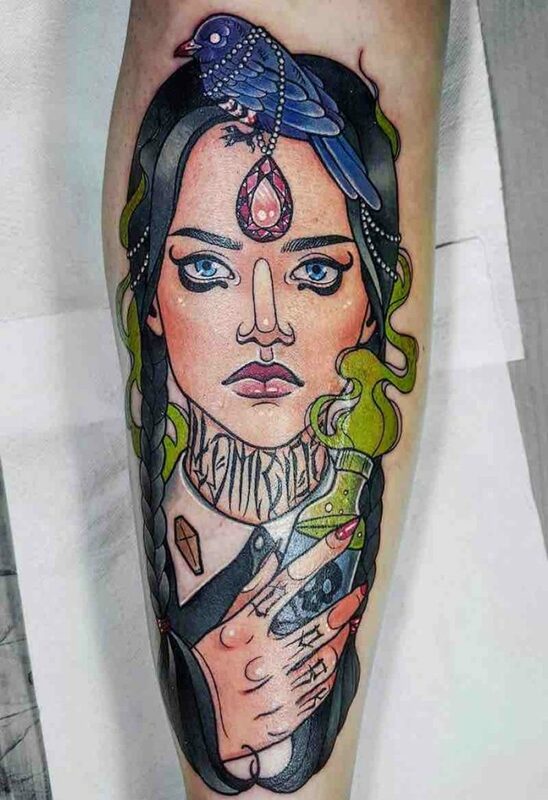 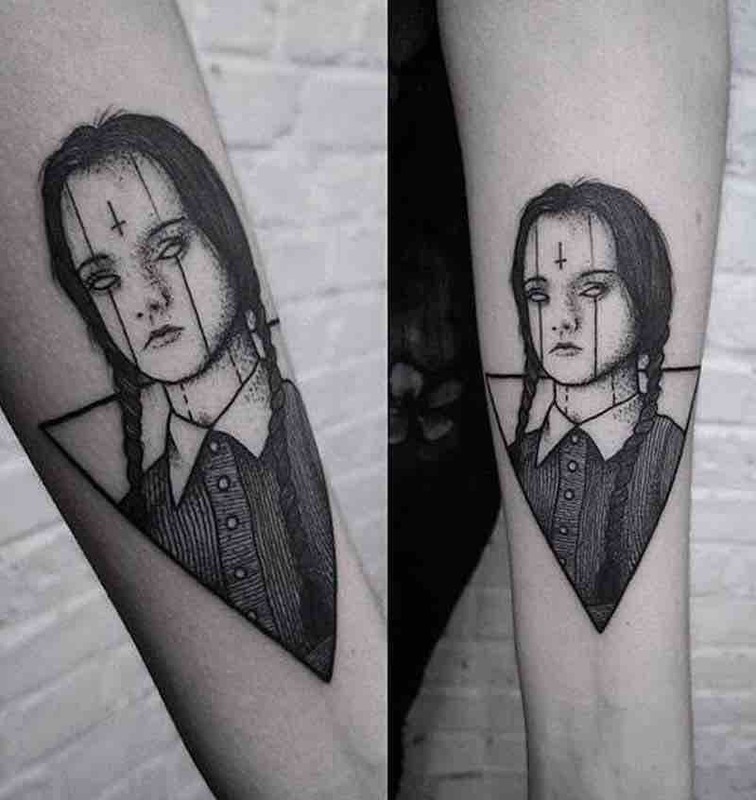 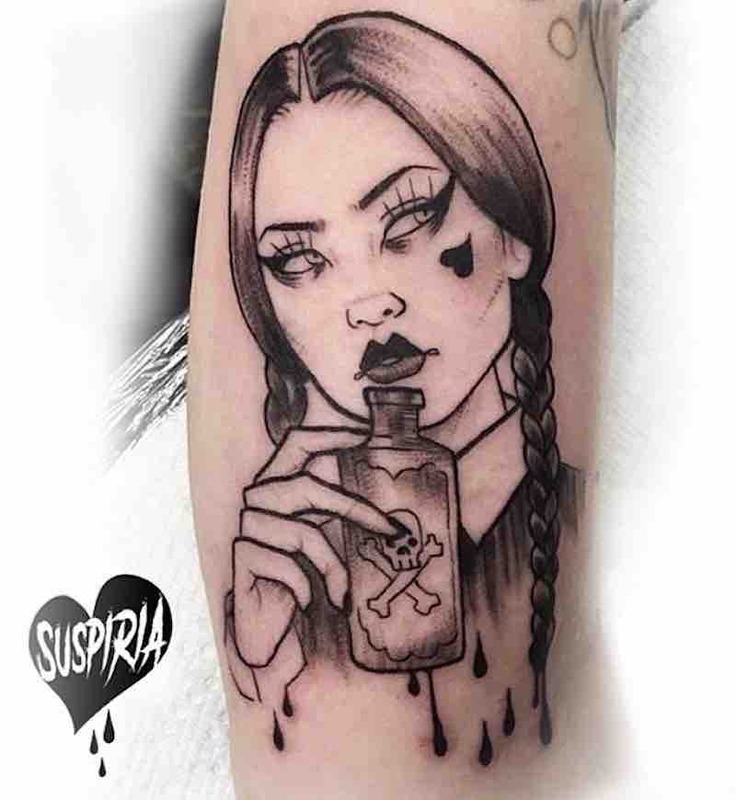 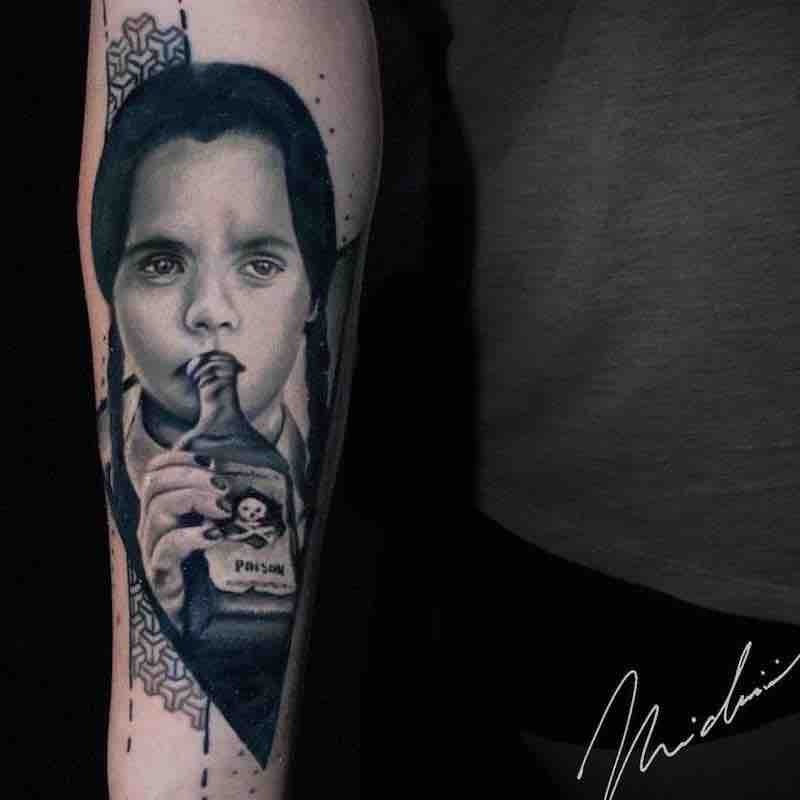 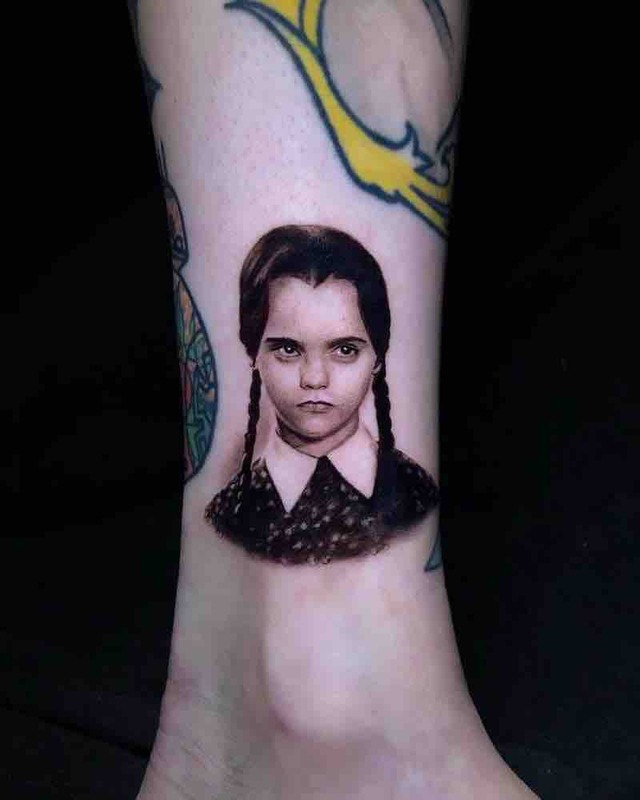 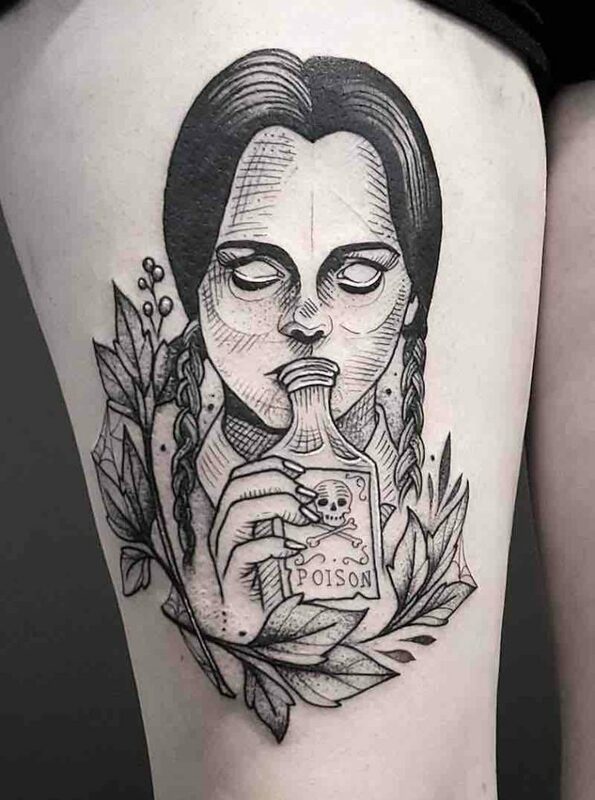 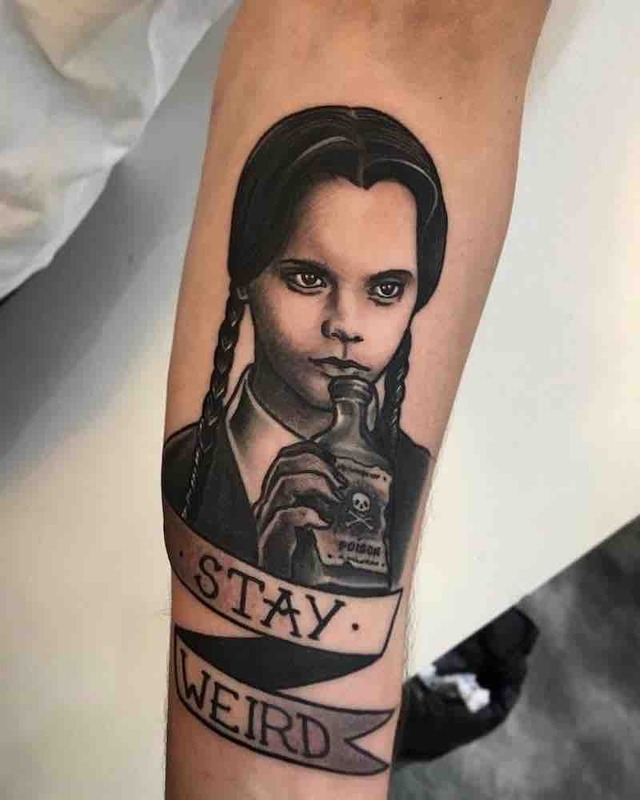 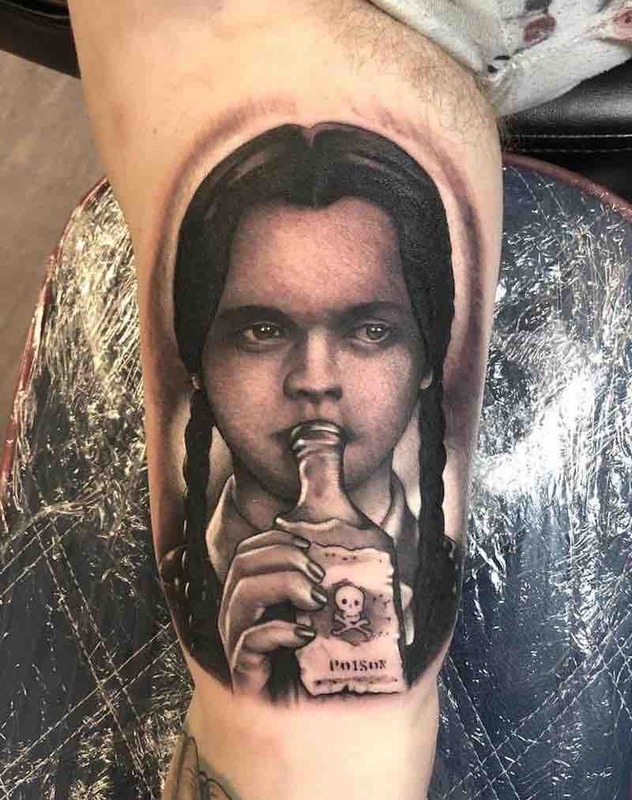 The Wednesday Addams tattoos are almost all based on the 1991 movie The Addams Family with Christina Ricci as Wednesday Addams with the most popular Wednesday Addams tattoo design based off a screenshot of the character drinking poison out of the bottle.